The twelve acre block of PenPlace is the largest parcel of undeveloped, privately-owned land in Arlington, VA. Its size and location make it unique. 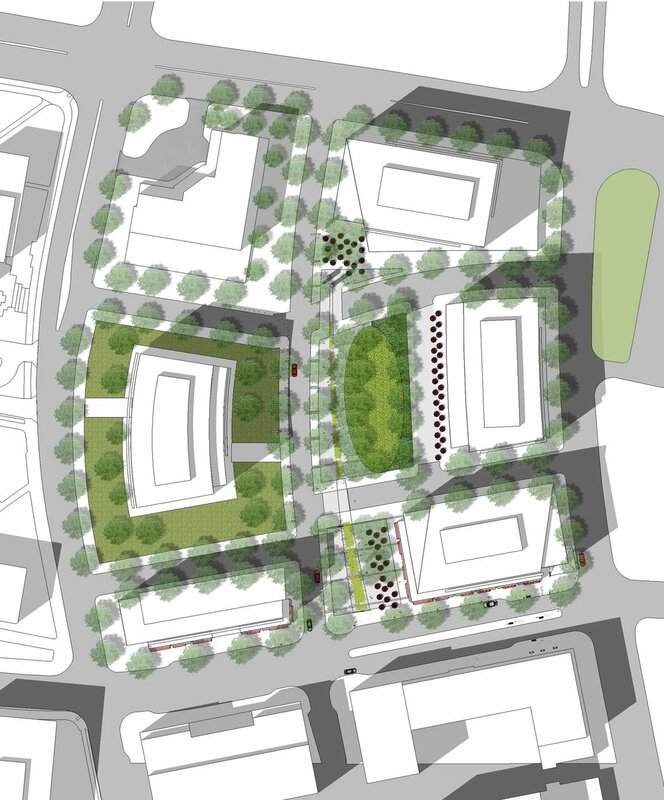 LAB, working with FXFowle Architects and the owner, Vornado, has devised first the open space strategy for the development and second has written design guidelines for PenPlace’s streetscapes, plazas, parks and private landscapes. 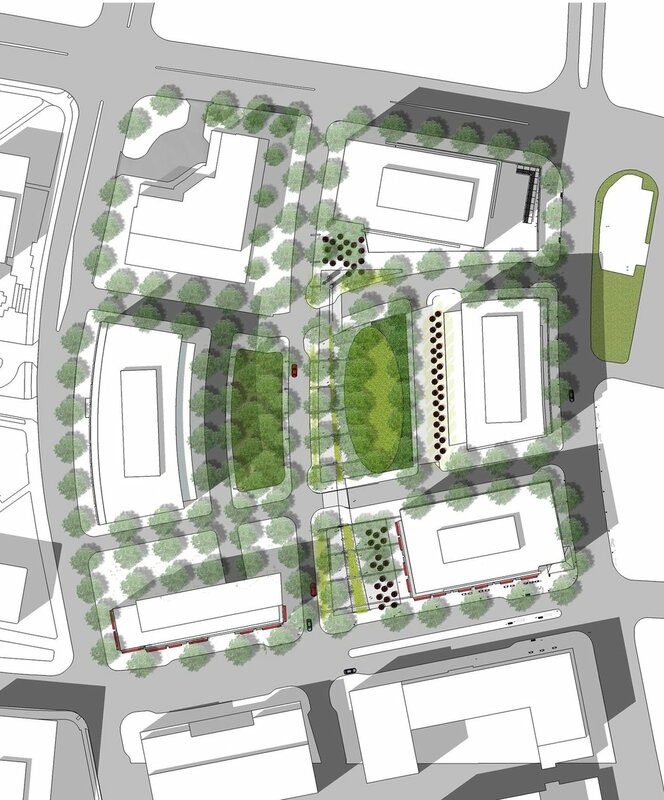 The primary strategy is to create a continuous linear open space that will connect all of the buildings with internal parks and plazas as well as with the new streetcar system that is coming to 12th Street on the south. At the southern end is a plaza that will be the center of PenPlace’s retail activity. At the northern end, a smaller hardscape will be organized around a work of public art visible throughout the development. Between the two is a 1.5 acre green park, the east and west edges of which will be curbless zones shared by cars and pedestrians. 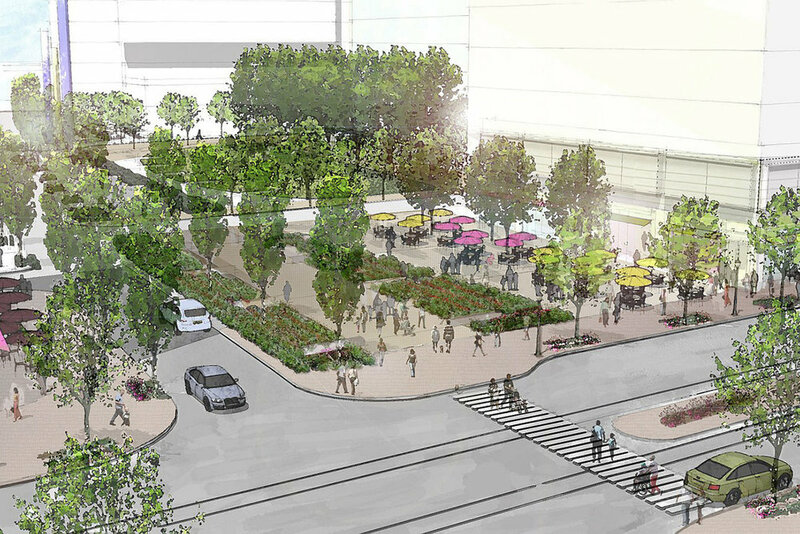 A continuous bio-retention garden will establish a gently curved path, 30 feet wide at the south and narrowing to 10 feet wide at the north, linking all three open spaces.